24 hour parking. The closest, just 50 meters from the airport! Are you planning to use the airport in Modlin and wondering how to reach the airport area? Choose your own car. Thanks to that, you will reach the plane on time and avoid lugging heavy luggage. Leave your car on our parking lot and use our free taxi to the airport. .
Special offer on long-term parking – 10-14 days for 110 zł! After 14 days, each next day costs 5 zł. We can take you near the terminal. It is included in the price of service. The safest parking lot in Modlin, free transport to the airport. No matter where you are flying and how long the journey will take, your car is always 100% safe. 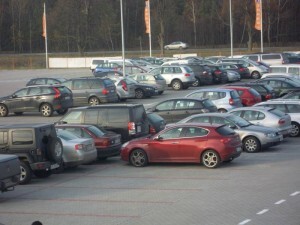 The parking lot area is fenced, equipped with the lighting system and modern parking system. The ground is made of paving blocks. By parking on Orange Parking in Modlin, you receive comfort, safety and the best quality. In addition, you will receive a free transport directly to the airport, included in the cost of service. The safety of your car is ensured additionally by the qualified staff of Solid Security guard company, Thanks to that, you car is under constant protection of licensed workers – 24 hours a day, 7 days a week. 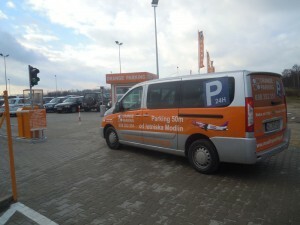 Orange Modlin – the parking lot right near the airport. Contrary to other parking lots in Modlin, our parking lot is located practically right near the terminal of the Modlin airport. You will see it by checking the map. It takes literally a few minutes to reach the airport on foot after parking the car. But if you would like to use our transport for luggage and people to reach the airport from the parking lot, no problem – we also offer this service, and, what’s important, it is in the price of parking, so you don’t have to pay more. Decently. The advantage of attractive rates for people who want to leave the car on longer than a day or two. Cheaply and safely. I would recommend to anyone who is flying from Modlin and arrive by car. Excellent! Booking over the internet easy. Transportation from the parking lot to the terminal and from the terminal to the parking lot after the telephone notification despite hours of the night, a very attractive price. If necessary, re certainly take advantage of your services. We highly recommend this parking lot. Peter. 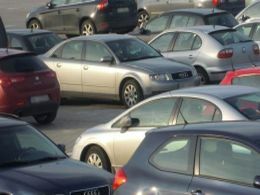 I am pleasantly surprised by way of reservation, the parking operator and what's important namely competitive price. I recommend to all and would use the service in the future. Efficient and simple booking, delivery, and imports from the airport, the price leap.